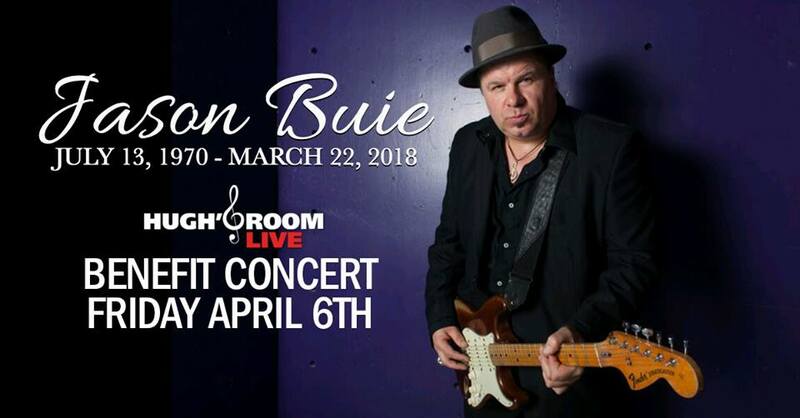 When west-coast bluesician Jason Buie died suddenly last week, few folks in the Toronto Blues community had ever heard him though he was a pillar of the blues community in BC. He stuck to the west coast and had given up touring a few years back in order to raise his twins as a single parent. But when he came to town for the Maple Blues Awards in January, we all had a great first impression of Jason. He touched everyone he met and gave a memorable acceptance speech when he received the Maple Blues Award for "New Artist of the Year." Jason was hardly a "new artist" (he had been playing for 35 years) but he was new to us and a bunch of Toronto musicians jumped in to raise some funds to help out his kids. The Toronto Blues Society set up a GoFundMe campaign (donate here) and Gary Kendall volunteered to organize the music - and he must have spent all week on this project. Drummer Al "Baby" Webster, who was a bandmate & roommate of Jason's in BC had brought him to Toronto a while back and introduced him to Jeff Healey, who was one of Jason's guitar heroes. Later when Jeff made his way out west, they would get together and became fast friends. The Fundraiser has raised over 2K for his kids and it was great to be hanging around with a bunch of my peers, though I think once again I was the oldest person at the band table where we gathered after the sound check. We were offered a complimentary dinner - and dinner at Hugh's Room is something most musicians can't afford, but tonight it was "on the house." I went for the steak - the most expensive item on the menu (as Gary Kendall pointed out to me), but it's the only thing left on the menu that I hadn't tried. I was disappointed in the salmon last time so here was my chance to try the steak (and it was good). It was great sitting around that table as the "old-timers", Gary, Terry Wilkins & Bucky Berger and Lance Anderson told stories of the glory days to the next generation of blues players (in Quebec, we call them "la releve" (the ones who will take over). As I was eating my steak, I was reminded that a steak dinner (and a trip to Montreal) was what I received as payment for my first professional recording session . "Les Marionettes" with Le Trio BAK on Disques Match (1963). Recorded at RCA Studios on a 3-track Ampex (that was the most tracks available at the time). And here I am, at the "sunset" of my career and I'm back playing for a steak dinner again - but this time for a worthy cause. Saturday, April 14 is the Campfire Jam at the Old Mill with my very special guests Harpdog Brown from BC, Jordie Edmonds his touring partner and the brilliant Jesse O'Brien on the big Yamaha grand. We will be playing some down home, old-school blues and I'm really looking forward to it (details on the sidebar or at the bottom of this Blainletter if you're reading on a phone). 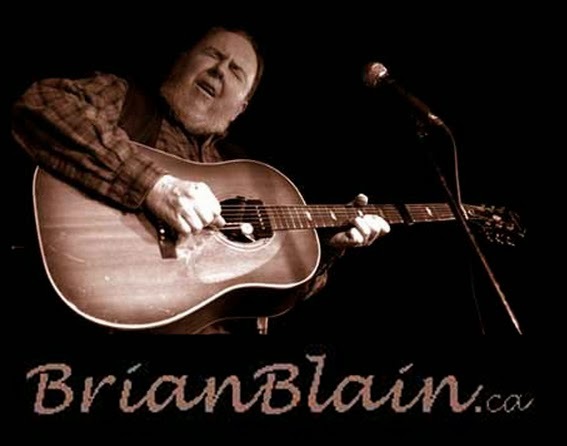 On Saturday, April 21, I'll be playing another solo house concert at the home of Ann Kerr-Linden in the Spadina/Bloor neighborhood. It's a beautiful space and I remember it was a great arrentive audience last year. It's not a big space and Ann likes to know how many people are coming so if you're interested in seeing yours truly, intimate and interactive (no amps, no PA), send her an email at annkerrlinden@gmail.com. 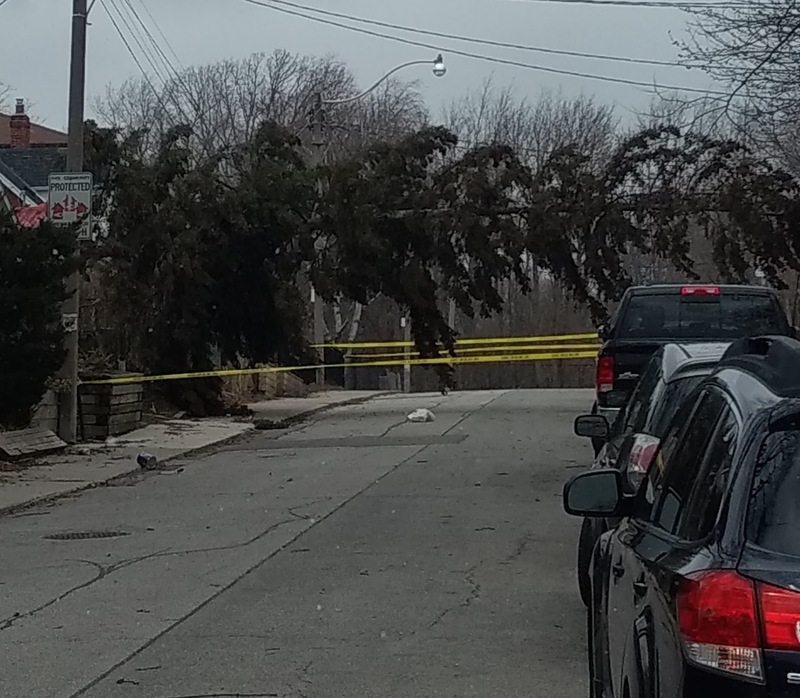 and huge winds that took down this tree at the top of my street. There's lots new around here, in particular a new car, because the old Volvo had ceased to be "Old Reliable" and I was using it sparingly and then, out of the blue, I was offered a car for (virtually) free. This is not unusual for me. Every car I've had since I came to Toronto has been either free or damn near. It started when my future ex-wife uttered her parting words, "you can have the Tercel. I'm getting an Accord!" And ever since then, whenever one dies another appears. It's my car-karma. And I try to be true to my Car-ma by giving lifts to folks who don't have wheels. This one is a Honda CRV called "Winona." I'm just feeling pretty good about making it through a long and bitter winter (see Quote of the Day). I know I told everybody that I didn't think I had another CD in me, but now I've got a few new tunes and I'm anxious to try some new ideas, mixing up afrobeat and electronica with my bluesy grooves so I think we'll be doing some recording next month. I would not be so confident that this would be happening if I hadn't just received confirmation that a certain very busy and super-talented player has put aside some time to record with me while he's in the area. Stay tuned. I was not getting out very much last month. Under the weather and no wheels. But I did make it out to Hugh's Room Live for Sugar Brown's CD launch which kicked off with an old favourite of mine, Ray Bonneville. I knew him back in Quebec and saw him whenever I could after he moved to the states. He's an impeccable guitarist and the best rack-harmonica player this side of John Hammond. I told him that and I hope I wasn't being out of line comparing him to John Hammond. Ray has a most identifiable sound, the harmonica, the guitar, the vocal, even the foot stomping. Right away – you know it's Ray. It's what every musician strives for – an instantly identifiable sound. Ken (aka Sugar Brown) rocked the house with his raw delivery and a tight band with Michelle Josef and Russ Boswell. Nichol Robertson was playing second guitar, a position I've held on a few occasions, and he was pulling out some licks that were way beyond anything I could do (or imagine). And I had to ask Russ what he was doing to make that string bass sound better than any string bass I've heard on that stage (he brought his own tube pre-amp/DI). As I was trying to line up a keyboard player for the next campfire jam with Harpdog Brown I went up the road to Sauce on Danforth to see if Julian Fauth might be available (he plays at Sauce every Tuesday-6-9). I thought his regular Saturday at Gate 403 was over now that they're closing but as it turns out the big closing concert is the date I wanted him. Oh well, next time Julian! "Po Cholly" Robertson was sitting in with Julian on Tuesday (along with a couple of other harp players). Julian is the most generous of blues musicians on the scene, always inviting people to sit in with him and he wanted me to sing a tune but I was just out of the dentist and not feeling up for it. He is one of those artists whose name I've heard many times since I got to Toronto in 1990. Jack Schechtman (Gabriel) is another (though I may have met him back then). He was a fixture on the Yorkville scene in the 60s and we both ended up at an impromptu kitchen jam at our friend Sarilyn, International midwife. Below is a little video clip that captures a few of my outings last month –and Here's a little video montage of some moments from last month. The video ends with a little clip of jazz flautist Anh Phung who was doing an event for the Markham Jazz Festival. Just as Julian's residency at Gate 403 comes to an end, another appears. He has just kicked off a regular Friday at a new venue called the Senator Wine Bar, a tiny upscale room above the Senator Restaurant (adjacent to the Jazz Bistro…which was previously Top 'O The Senator.) The new venue is owned by Bob Sniderman, son of Sam the Record Man. …and speaking of Sam, I finally looked up, up, up at Dundas Square and saw the re-incarnated Sam the Record Man spinning discs – a real piece of Toronto music history. …and speaking of Toronto Music History, I just checked out the display of photos and memorabilia at the small museum above the St Lawrence Market – Jazz Clubs from 1946. Just as I am eliminating a basement full of archives including the newsletters I edited for Toronto Jazz, The LeadSheet and Downtown Jazz. Friday April 6, 8:30 at Hugh's Room Live for the Jason Buie Fundraiser w/Suzie Vinnick, Lance Anderson, Mark"Bird" Stafford, Brian Blain, Raha Javanfar, Dan McKinnon and Jenie Thai with the solid rhythm section of Bucky Berger on drums and Terry Wilkins or Gary Kendall on bass. $30 at the door.